Nigeriens are likely to take years to recover from selling their weakened livestock at a fraction of its normal value due to drought in the Sahel region. The drought threatens almost 70 percent of herds, according to rough estimates from the International Committee of the Red Cross (ICRC). With good rains and government and international support, herders are expected to recover from their losses in two to three years, said the emergency programme officer at the Food and Agriculture Organization (FAO), Nourou Tall. In a country where almost three quarters of the estimated 13.4 million inhabitants depend at least partly on livestock, animals represent economic security: providing milk and meat for the family; money for food, education and health care; and a dowry in marriage contracts. 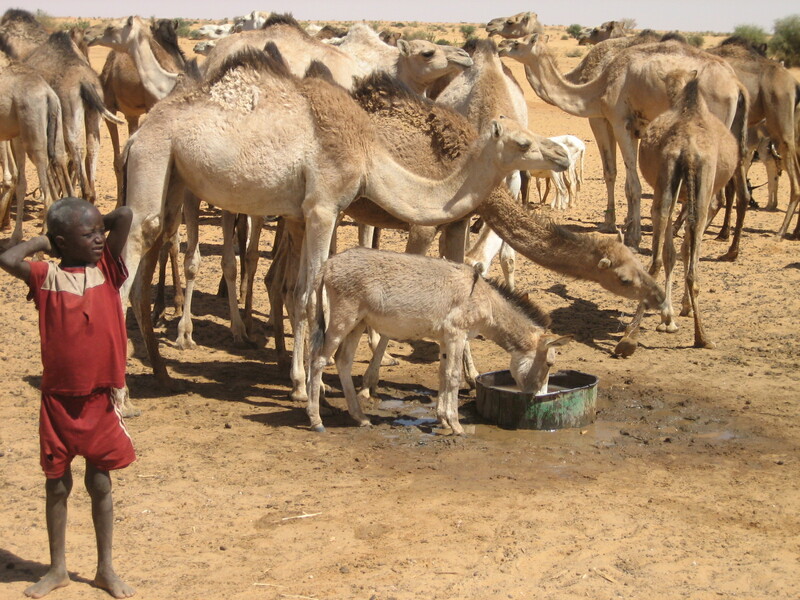 Pastoralists experiencing the greatest losses may be forced to change livelihood, to guard others’ animals, or to find work in towns and cities, said Boureima. The director of pastoral development in Niger’s Ministry of Livestock and Animal Husbandry, Haido Abdul Malik, has been travelling across the country for the last two weeks to evaluate pasture conditions. He is alarmed by what he has seen: hardly any grazing land left; soaring prices of animal feed and weak or sick animals. To protect the poorest stockbreeders, organizations such as FAO, Veterinarians Without Borders (VSF) and the ICRC, have been buying some of the weakest cattle at higher than current market prices. In the past two months ICRC purchased and slaughtered nearly 20,000 animals and treated another 60,000 against parasites, in northern Niger, paying the equivalent of two months worth of food, for three animals. The animal meat was redistributed to the most vulnerable community members. Agencies are also selling animal feed at below-market prices, distributing vitamins and vaccinating animals to protect them from disease. But AREN head Boureima said outside help for animals had still come too late. Sahelian breeders sent a letter to their respective governments in late 2009 calling attention to the crisis. “It took months before they finally reacted. We could have averted this”, Boureima told IRIN. VSF’s technical adviser, Stéphane Pil, agrees: “Animal fodder could have been provided earlier, diminishing the pressure on grazing land,” but he added, the response has been better and quicker than during the 2005 drought. Niger is one of the countries most at-risk of climate-change-related drought, according to the World Bank. Pastoralists’ traditional coping mechanisms will have to shift more drastically, given the environmental threats they face, said Pil.